Paul Schrader is well known for writing the screenplay for Taxi Driver, a universally well-known depiction of isolation, self-destruction and the dichotomy between egos and heroes in the new age. Taxi Driver characterized the feeling of loneliness in the swamp of big cities and the descent of normal people into madness. Society moves so fast it often leaves us on the sidewalks; So too do we find ourselves disconnected with our own image and ideals, dreams and reality. ‘You talkin’ to me?’ ‘You talking to…me?’ Travis Bickle asks as he loads his gun in front of his mirror. Paul Schrader’s first film as director First Reformed bears some thematic similarities to Taxi Driver. But more importantly, it digs out uncomfortable truths about the limitations of faith and religion in the modern world. It makes no pretensions about the fact that religion is just another organization. It makes no bones about how an institution meant to be devoid of corruption has been entrenched in the very fabric of corporation. Religion, a system of hope and a way of imparting values, has become the very vehicle of machination, abuse, validation, power and manipulation. Certainly, it would be difficult to know what (if a higher being does exist) it would make of this. Maybe we will never know. But if we are to make sense of it all as a human living in this very world, First Reformed’s personal style told through the eyes of Father Toller (Ethan Hawke) is a cry to the heavens. It is an intense portrayal of a man of faith who cannot reconcile the teachings of his faith and what he experiences in real life. More devastatingly, Ethan Hawke brilliantly portrays a man who is dealing with the grief and hypocrisy of reality and the ways in which he takes it upon himself because there is nothing else to do. A wonderfully magnetic and transcendent film, First Reformed is often bleak without reprieve. The stillness in style and the muted filter of colours make this a sobering straight-to-the-point kind of film. Ethan Hawke is astounding in portraying Father Toller, a man fighting against himself and the world, as he takes the blows upon himself. Ethan Hawke really enfleshed the conflicts and juxtapositions within his character which naturally highlighted the greater thematic ironies in the film. Amanda Seyfried, Cedric Kyles and Michael Gaston were also superb in each of their roles. 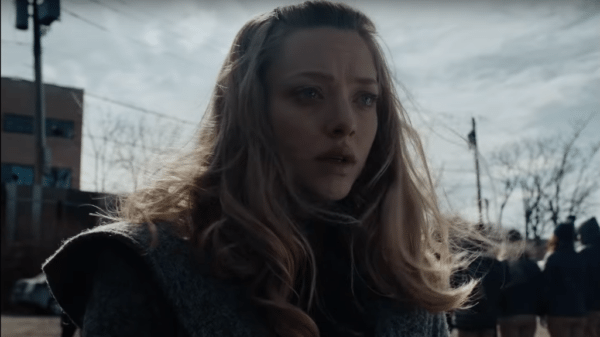 While First Reformed can sometimes be a little jarring, it manages to redeem itself by ramming home an overwhelming sadness and helplessness that is begging to be resolved. It draws you in to its character crisis and blankets glimmers of hope with despair, dysfunction and pain. Indeed, First Reformed’s strongest aspect is that viewers watching it will feel what its protagonist is feeling; A rage against the dying of the light. First Reformed shows the damage done to the institution of religious ideals and organization and, in turn, the psychological damage to those who cannot reconcile the innocence of scripture with the complications and machinations of the real world. It is an embattled cry of the helpless…a waking call to our conscience. Next Post Best films of 2018.